Slide Show Maker With Music let’s your moments (pictures/selfies!) combine together and melodious with just few taps! Take your memorable & funny moments from library to make a beautiful slideshow with music and share it on Facebook, Instagram or save right on your device. 1. Photo Slideshow: Make a beautiful slideshow with transitions from your library photos. 2. Reorder Photos : Reorder all your photos and delete or add more photos. 3. 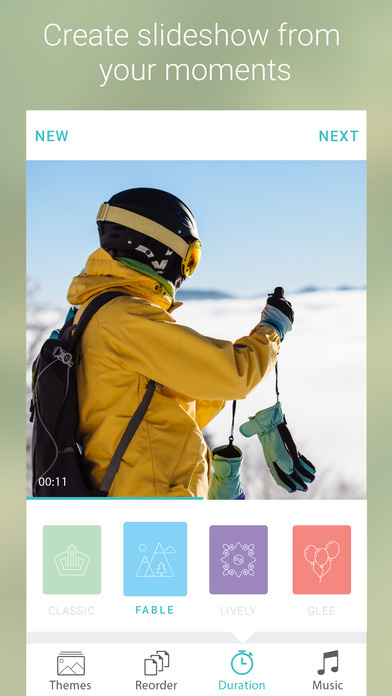 Tracks: Add audio tracks, music or voice to your slideshow. 4. Music Tracks: Choose from trailer, corporate, ukulele, horror etc. 5. Voice overs: Record your own voice over for the slideshow. 6. Positioning Tracks : Position your starting point for the track you used. 7. Share Slideshow : Share your amazing moment on Vine, Snapchat, Instagram, Facebook or by E-mail. 2. 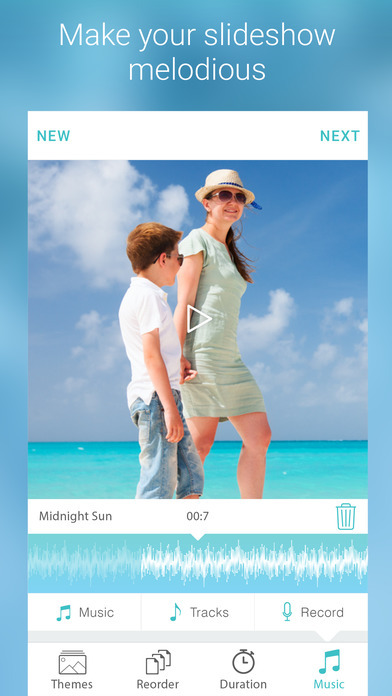 Reorder Photos: Tap on ‘Reorder’ to sequence your photos. Simply hold and drag them where you want to put them. 3. Add Music : Choose a music, track or even add your own voice to the slideshow. 4. Positioning Tracks : Simply drag a track to select its starting position. 5. Save or Share : Save edited slideshow video to your library or Share on Facebook, Instagram or send via Email. Keep in touch to receive all updates right on your device. Feel free to ask any query on contact@gamesstudio.co ! We would love to hear from you & appreciate your suggestions. So, let's make your memories even more amazing & stunning.Download & have fun while it's free!